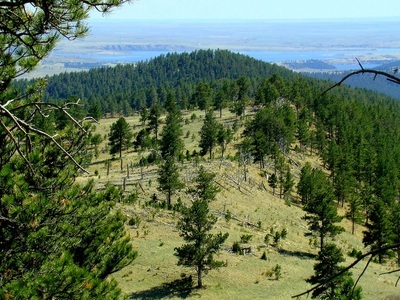 If you are in the Hot Springs area, and want to hike to a summit rarely visited by other hikers, Friendshuh Mountain offers a good opportunity for some quiet solitude. 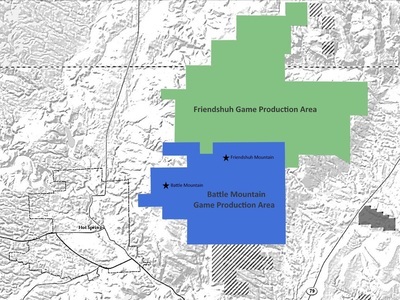 Though the mountain actually has no official name and shows up on most maps as “4455”, Friendshuh Mountain is an appropriate name, given the GPA history and the fact it is the highpoint in the 8,000-acre Battle Mountain-Friendshuh Game Preserve. Despite some trees at the summit, the mountain has a commanding view of the area, allowing visitors on clear days to see parts of Nebraska to the south, parts of the Badlands to the east, Angostura Lake to the south, Battle Mountain to the southwest, the Seven Sisters Range to the south and Black Elk Peak to the north. You will be glad if you bring binoculars too. Please be aware that there is a GPA curfew regulation against being there between 11:00 PM and 6:00 AM, and they do impose big fines for violations. Elk, deer, pronghorns, coyotes, foxes, wild turkeys, hawks, eagles, vultures, and mountain lions inhabit the GPA. 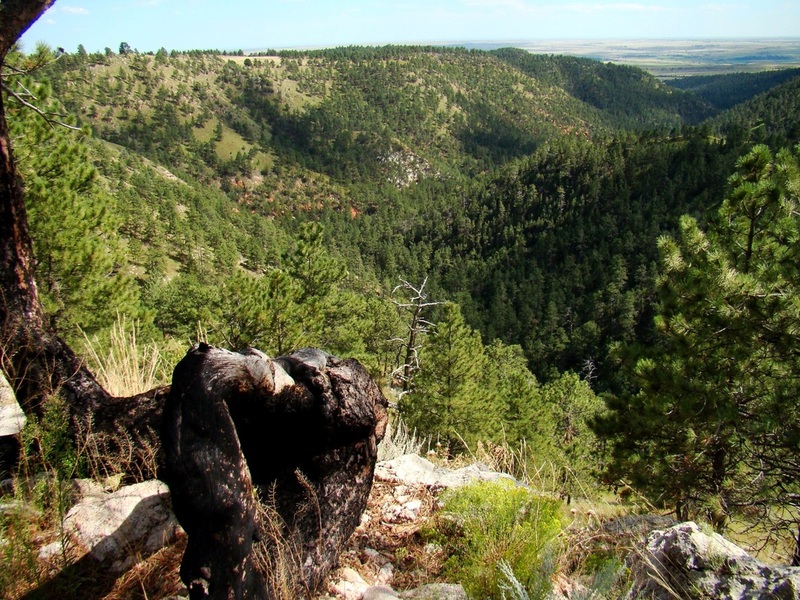 Almost half the area is heavily forested. 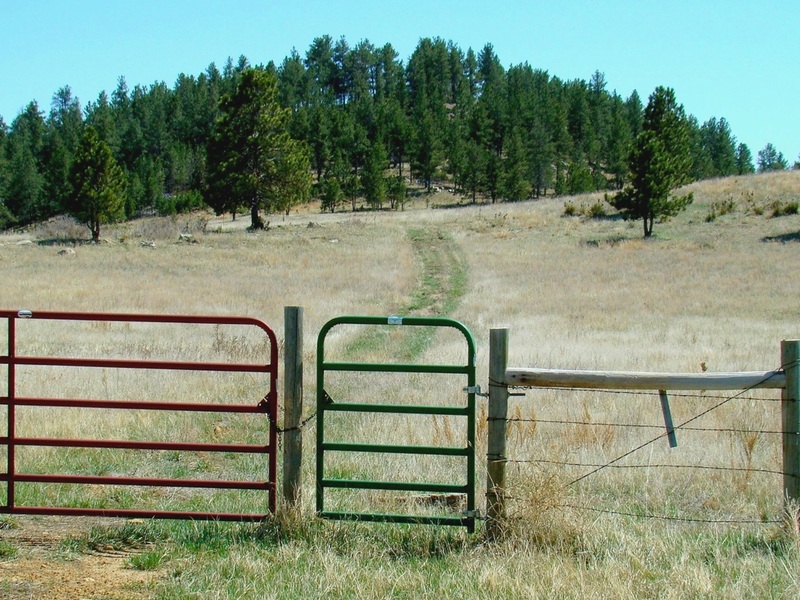 The rest of the GPA is large open meadows, which provide excellent grazing habitat for elk and deer. 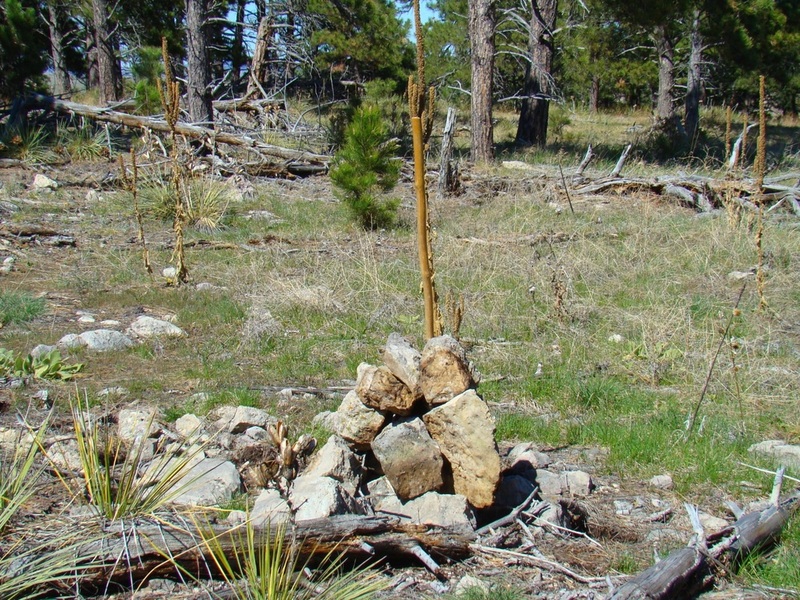 There is a rattlesnake population in the area, so hikers need to be watching for them, as well as the resident mountain lions. 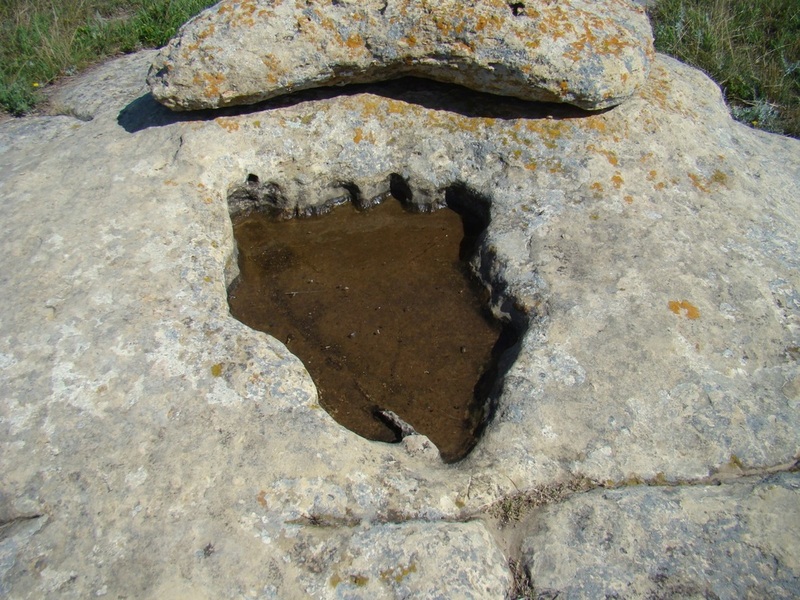 One of the most amazing things about this hike is the dinosaur footprint in a large sedimentary rock, identified by a geologist working a short distance north of the Friendshuh Mountain summit. The rock is north a little ways from the fence line and gate that is located just up the hill from where you have to park to hike to the summit. To get to Friendshuh Mountain from Hot Springs, turn east from Highway 385 on Thompson Road (on the north part of Hot Springs). Go one block to Battle Mountain Road. Follow Battle Mountain Road up for 1.2 miles, then turn north on the Battle Mountain Production Area Road (no sign there). Be forewarned that the Battle Mountain Road is often very rough. 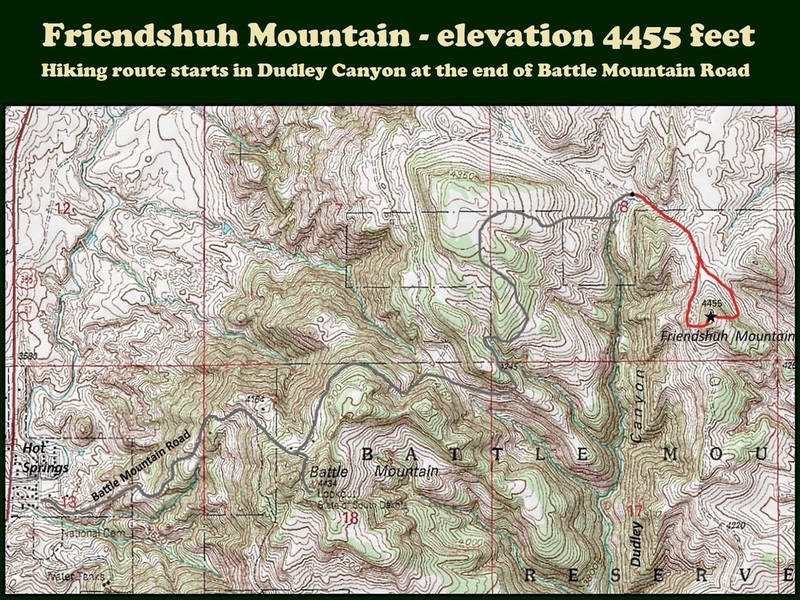 If you travel in right after a major washout on the road, you may have to hike the whole 3.7 miles from Hot Springs to the bottom of Dudley Canyon. 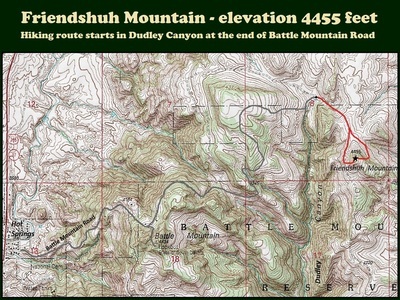 Follow the road 2.5 miles to the bottom of Dudley Canyon. There is a sign there, where you can turn north and go a few hundred yards to a place you can park by a locked gate. There is a small gate next to the large gate for the purpose of foot travel (usually hunters). Follow the old road up the hill. That road is on the north side of the fence line. 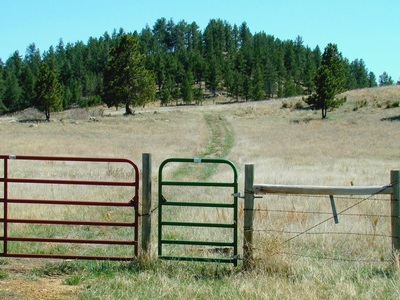 At the top of the hill, there is another gate (the final one) on the right. 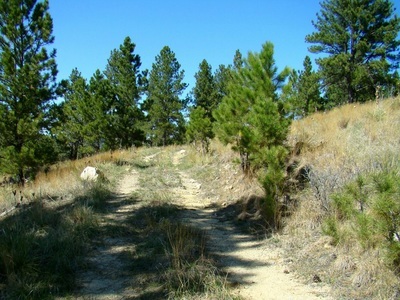 There is an old two track road that goes in a mostly south-southeast direction. It will go by a stock tank, where there is a branch in the road (very hard to see the western branch). Each branch will go around Friendshuh Mountain, one to the east and one to the west. It will be up to you which route you choose to hike off-trail to the summit from. Your eyes will have to guide you from here. The east road passes through more forest than the west road. From either old road, it is only several hundred yards up to the summit area, making your total hike from the parking area about one mile with a little under 300 feet of gain in altitude. Bring a compass. 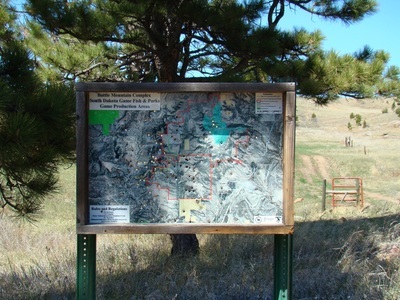 Maps of the area are included with the photos below. According to a geologist working at this site, this is a dinosaur print in ancient sedimentary rock (near the final gate).